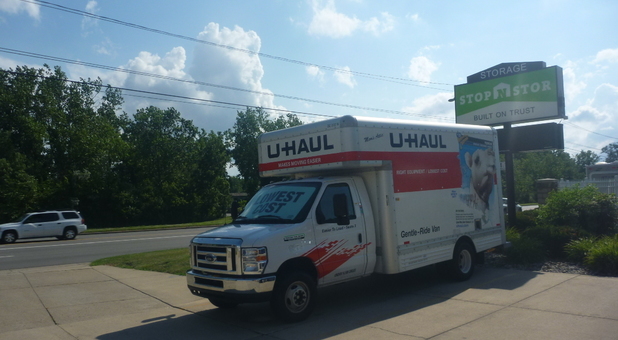 Just across from Raintree Village, Stop-N-Stor Toledo at 1055 E. Alexis Rd is the answer to your storage problems. Find us between I-75 and Detroit Ave, near Menards, A&D Auto Repair and Bob Evans. Our facility is open 6 days a week. Why don’t you come down and take the tour? We’d love to meet you! Stop-N-Stor Toledo has some of the best amenities around. Our drive-up access is popular with customers storing lots of items. Instead of parking far away, you can drive right up to your storage unit. That way, can unload your items much quicker. No more backaches from carrying bulky and heavy items from the parking lot! Are you looking for somewhere to store your car, boat or RV? Our fenced and gated facility is the most economical place to keep your vehicle. With our superb security features, you’ll never have to worry about their safety. Whether your needs are short term or long term, we are here to help. Give us a call today to discuss your needs!